"Dr. Frodge is super friendly. His staff is very welcoming and organized. Love them!" "Excellent service! I highly recommend Dr.Frodge to anyone needing periodontal services!" "I highly recommend Dr. Frodge and again, appreciate his professionalism and expertise." Utilizing the latest technology and minimally invasive treatment modalities, Dr. Brandon D. Frodge, D.M.D., M.S. is dedicated to providing excellent periodontal care to his patients at Southern Roots Periodontics in Atlanta, Georgia. At his practice, Dr. Frodge offers periodontal treatment including dental implants, sinus lifts, accelerated osteogenic orthodontics / wilckodontics, bone and gum grafting procedures, LANAP and other laser periodontal procedures. Dr. Frodge received his Doctor of Dental Medicine Degree from the University of Kentucky College of Dentistry in 2003, whereas he was honorably awarded for outstanding achievements in Periodontics. His periodontal specialty training was accomplished at the University of Kentucky College of Dentistry Graduate Program in Periodontics in 2006, at which point he received his Certificate of Specialty in Periodontics as well as his Masters of Dental Science Degree. Dr. Frodge has been serving the Atlanta, Georgia area since 2007 and established Southern Roots Periodontics in February of 2013. Dr. Frodge is a Board Certified Diplomate of the American Academy of Periodontology, which certifies that he is a periodontist who has made significant achievements beyond the mandatory educational requirements of the specialty. Dr. Frodge continues to demonstrate a commitment to continuing education and professional development and has been published in peer-reviewed scientific journals, including the Journal of Periodontology, the official publication of the American Academy of Periodontology. When Dr. Frodge is not providing patient care, he enjoys spending time with his family, as well as hiking, biking, and kayaking in the lakes and hills of Georgia. Dr. Frodge has donated his time and services to countless humanitarian efforts with multiple organizations including the United Nations and The Earth Institute. Contact our office to schedule a consultation with Dr. Frodge today! 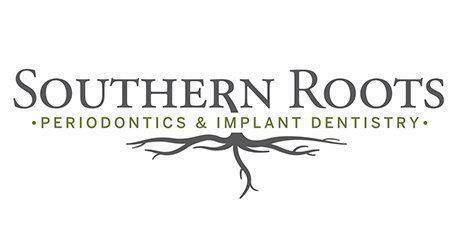 Welcome to Southern Roots Periodontics & Implant Dentistry! We are your Atlanta periodontist, specializing in customized care coupled with state-of-the-art technology. Conveniently located in Village Place Brookhaven Our office is located on the second floor of a live/work/play community on Dresden Drive, above Kaleidoscope and One Sushi restaurants. Additional parking is located behind the building. Patient dental health and comfort are of the utmost importance to us We provide our patients the best care possible by using the latest periodontal technology available, such as laser therapy, platelet rich plasma, and 3D imaging with cone beam volumetric tomography. Dr. Frodge and his staff look forward to serving you for all of your periodontal needs Contact us today by clicking HERE and let us help you achieve a happy, healthy smile! Southern Roots Periodontics and Implant Dentistry is conveniently located in Village Place Brookhaven, in Atlanta, Georgia. A variety of periodontal services is offered including laser periodontal, dental implants, bone grafting, periodontics, gum grafting, sinus lifts, and wilckodontics - including accelerated osteogenic orthodontics. With a modern office on Dresden Drive, Southern Roots Periodontics also offers convenient Tuesday through Saturday office hours that can meet the needs of the busiest patient. Patients are encouraged to bring a list of all medications they are taking as this can greatly affect the types of medications offered in the office. They are also encouraged to come to their appointment a few minutes early in order to fill out any necessary paperwork. Convenient on-site insurance billing and six- and twelve-month payment options through CareCredit are available as well as the convenience of credit and debit card, check, or cash payment options. With a friendly office staff and a state-of-the-art facility, Southern Roots Periodontics and Implant Dentistry can see to all of the periodontal needs of the Atlanta, Georgia area. We love patient feedback & would love to hear from you! 'Follow' us and leave us a review! At Southern Roots Periodontics, we accept most major medical insurance plans. Here is a short-list of just some of the most popular plans we accept. We will be happy to file your dental claim on your behalf. Please contact our office if you do not see your insurance provider listed here or if you have any questions concerning your insurance plan. "Dr. Frodge is fantastic! I can't recommend him enough. If you are looking for a reliable dentist for an implant look no further. This is your guy!" "I can't say enough about Dr. Frodge. I had a great experience. Very professional and friendly. Best decor by far of any doctors office I have ever visited." "I love Southern Roots Periodontists! He is very knowledgeable and gives every detail about the whole process of the surgery. The office is state of the art!"